According to the Chinese office software provider Evermore Software, benefiting from Microsoft's "black desktop" situation, the download volume of the company's Office 2009 individual version has recently reached 5.3 million. After Microsoft launched its new anti-piracy measures in China on October 21, 2008, their action has been resisted by Chinese users. Microsoft implemented a program that would turn a computer user's screen black if the user's computer has a pirated version of a Microsoft Windows product. 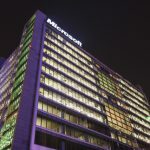 At the same time, some computer experts, including academician from the Chinese Academy of Engineering Ni Guangnan, called for the use of Chinese-made Evermore and Kingsoft office software to replace the pirated Microsoft Office. 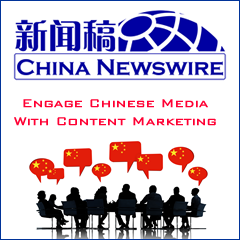 The statistics from the office software provider Evermore Software prove that the advice has gained active reaction from Chinese users. A representative from Evermore Software says that the download volume of its Office 2009 individual version, which was launched on October 13, 2008, has increased greatly over recent days, reaching 5.3 million. Cao Can, vice president of Evermore Software, says that the company's Office 2009 product integrates such programs as word processing, spreadsheet and slide presentation into one, which reduces its size to only 30 megabytes. The software can both run on Windows and Linux platforms and its functions, quality, compatibility and expandability are equal to those of the Microsoft Office. In addition, Evermore Software promises to offer long-term free services to the individual users of Evermore Office.